Recently renovated partly furnished 3 room apartment on the 1st floor. The apartment is located in the lovely Benoordenhout area. Within walking distance from Shell HQ, public transport and the city centre of The Hague. 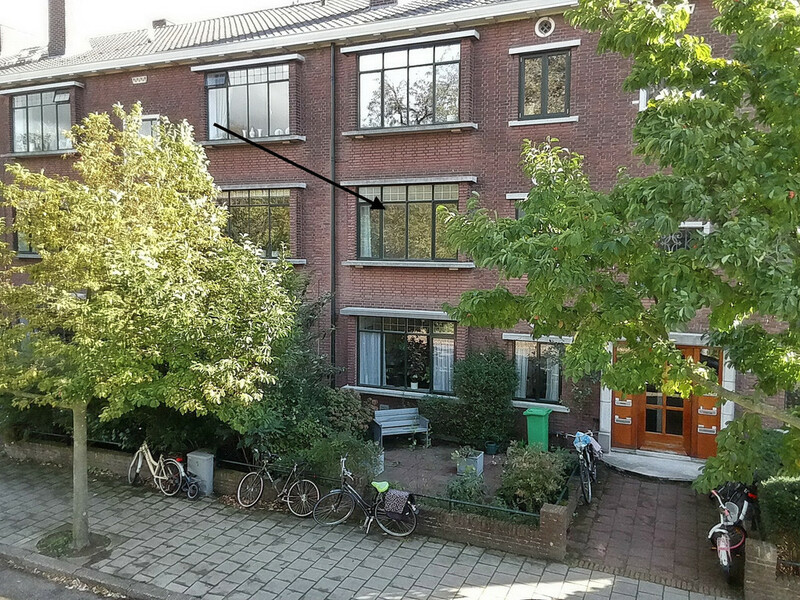 Conveniently situated towards to the center of The Hague, park Arendsdorp, shops “ van Hoytemaplein”, high way and public transport. Wooden floors throughout the apartment. Entrance apartment, very light hall, large bedroom (3.86x3.89) with fitted wardrobes, entrance from the hallway to a large storage, modern toilet, bathroom with jacuzzi, separate shower and double washbasin, the living room has also an extra semi open office space with wall to wall storage for books, this room can be also used as a TV room/ study or guest bedroom (2.64x 3.85), light living room (5.36x3.85) with French doors to the sunny balcony (south/west), open fully equipped eating kitchen (3.66x4.01) with: Quooker (instantly hot water tap), 6 gas burner stove, large oven, seperate microwave, fridge/freezer and French doors to a sunny balcony (South/West), separate laundry room with washing machine and dryer, wooden floors throughout the apartment, large storage in the basement.